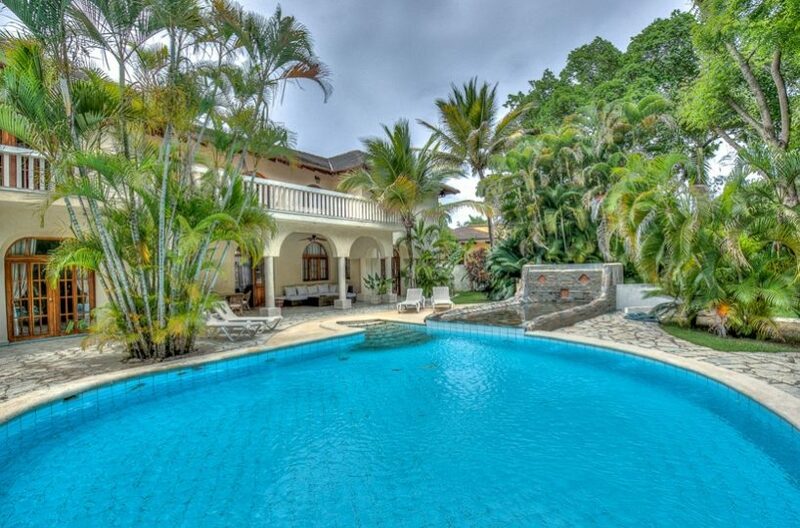 Villa Las Palmas is a spacious Caribbean Family vacation rental with four bedrooms and a living area that opens completely to a tropical landscaped yard, and a lovely free form pool with beautiful waterfall. This villa is perfect for indoor-outdoor living year round. It is beautifully furnished with several dining options, either inside or al fresco, with a kitchen perfectly suited for chefs. The terrace is poolside with a gas grill for BBQ’s. 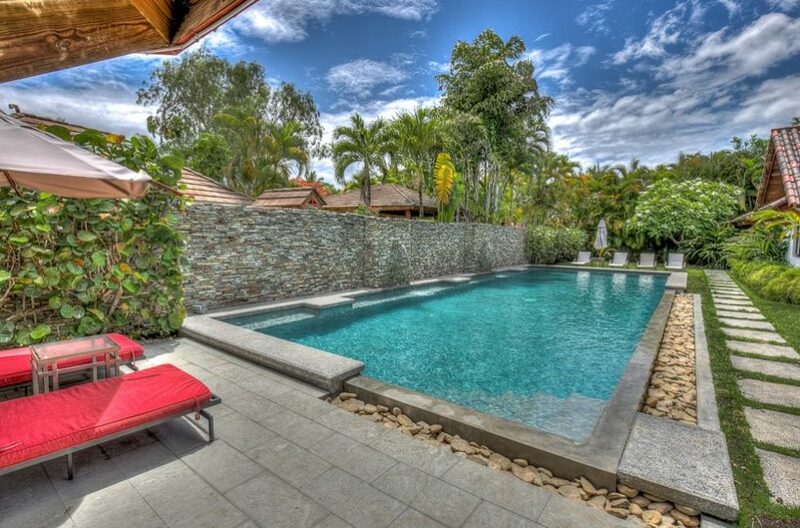 Villa Las Palmas is an ideal oasis to enjoy the natural beauty of your surroundings, along with the peace and tranquility of a private, luxury villa. Villa Las Palmas sleeps eight to ten people comfortably. An oversized master bedroom has a king size bed and en-suite bathroom, with a private balcony overlooking the pool. One guest room has two full beds, one has a queen bed, and they both connect to a large, shared bathroom. The fourth bedroom with a queen bed has its own en-suite bathroom (the villa has three baths total). A mezzanine second-story extra room has two twin beds which can be used as a fifth bedroom, reading room or den. The villa is well equipped with a media center, air conditioning in the bedrooms, and ceiling fans available in every room. Wi-Fi is available throughout the villa. Please contact us for more information on Villa Las Palmas or check other vacation rentals available, perfect for friends or family getaway.